The world's largest mobile boat hoist will soon operate at the Cairns Slipway, heralding a new era for commercial ships and superyachts in the region. BSE Maritime Solutions (BSE) will invest $6 million in the mobile lift, manufactured in Italy by Cimolai Technology SpA and capable of lifting vessels up to 1,120 tonnes. Facilities will be upgraded to accommodate the new lift and haul-out of vessels will begin in mid-2019. BSE owner and Managing Director, Justin Parer said the Cairns Slipway will focus on lifting superyachts, Border Force, Defence and commercial vessels. “The Cairns Slipways has been providing ship repair services to Defence, tourism, luxury and commercial vessels for over 30 years, with over 1.5 million tonnes of vessel using its facility and over seven million labour hours employed,” he said. BSE is experienced at hauling out, repairs and maintenance of commercial vessels and superyachts. 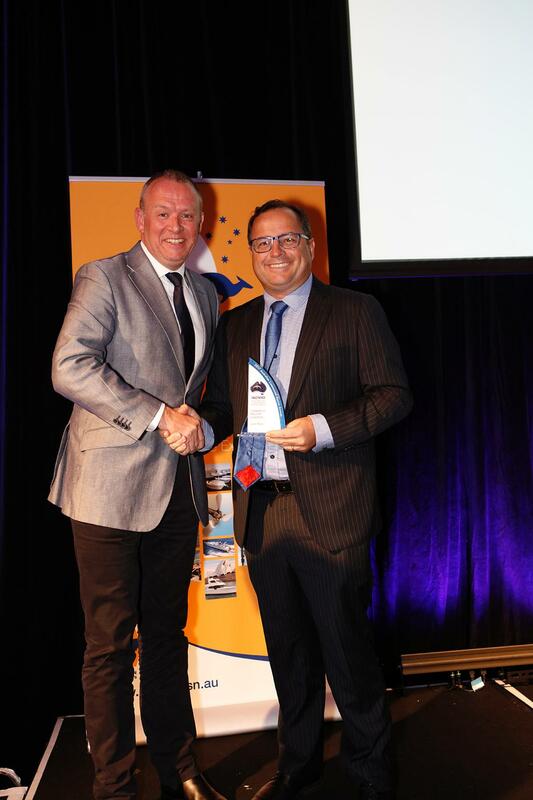 Justin Parer (right) receiving the Commercial Industry Champion Award at the 2017 AIMEX-SA Awards. The increased capacity at the BSE Cairns Slipway will also provide additional infrastructure to support the expansion of the HMAS Cairns naval base. “We are confident in making this investment because of the direct support Warren Entsch has put into promoting Cairns as a Defence Maintenance Hub and the encouragement we have received with the recently released Qld Superyacht Strategy,” Mr Parer said, adding that the enthusiasm of Mayor Bob Manning for the industry and the vigorous promotion by Advanced Cairns and the Great Barrier Reef Superyacht Group meant the investment was logical. When completed, the mobile boat hoist will stand 23 metres high and will measure over 30 metres in length and over 23 metres wide. The machine will be supported and moved on 32 wheels and will lift vessels out of the water via eight lifting slings for transfer to a hard stand or maintenance shed. Advance Cairns CEO Nick Trompf welcomed further investment in Cairns’ important marine maintenance industry. “The $6m investment from BSE builds on the funding it and the two other slipways in Cairns received from the Federal Government this year,” Mr Trompf said. Australian International Marine Export Group, Superyacht Australia & Australian Commercial Marine Group Chief Executive MaryAnne Edwards said a 1,120 tonne mobile boat hoist will change the whole landscape of Australian capability within the commercial and superyacht sectors. 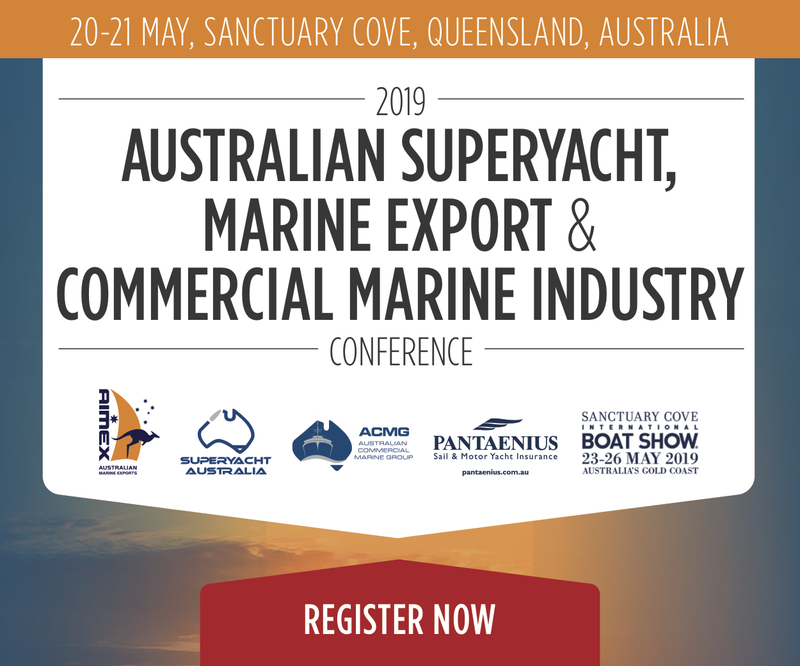 “AIMEX has been working with State and Federal governments to make Australia more attractive to the lucrative Superyacht industry and we have identified that infrastructure of this nature is critical to that success. “Further investment will be needed in the industry but the very real, very practical investment that BSE have announced will go a long way towards establishing our international credibility,” said Ms Edwards. 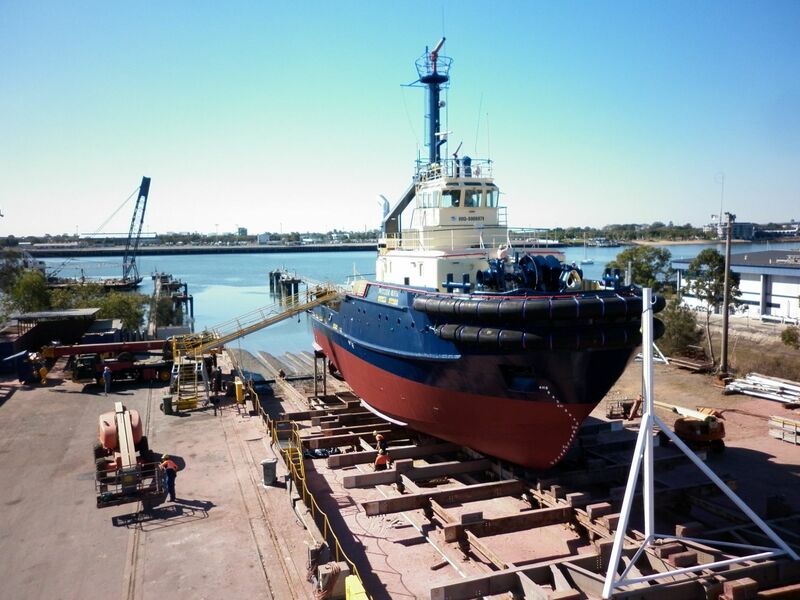 “This investment is aimed squarely at making Cairns the world’s best ship repair destination and it is exciting to see that we have been able to make the next step a reality,” Mr Parer added.